For the first time in over a century, the Continental portfolio again includes a treadless tire – the SmoothContact 1. This sports slick, suitable for cars from the compact class upwards, has no tread pattern whatsoever, enabling it to offer maximum grip on dry roads, short braking distances and high precision handling. The SmoothContact 1 also copes effortlessly with wet conditions thanks to its revolutionary “Slickaway” technology: hydrophobic rubber sections vulcanized into the tread contract on contact with moisture, forming adaptive channels that rapidly disperse the water from under the contact patch. “Our trials with the hydrophobic rubber compound alone meant investing a lot of man-hours and hundreds of material tests,” explains Continental industrial chemist Dr. Ivan Eydea. “We needed to focus not only on developing a rubber-based water-sensitive material, but also on finding the ideal proportion of this flexible material to add to the compound.” Road tests by Continental have shown that the chemists did a fine job. Braking distances with the new tire are significantly shorter than with conventional models, lap times on the handling test track have broken all records, road-tire noise is minimal, and the new product delivers far more mileage than any conventional tire with a complicated tread pattern. “Compliance with the legal requirement for a tread depth of at least 1.6 millimeters is no problem, either,” says Eydea. “After all, the law does not state whether the tread depth must be measured on dry or wet roads. And in the wet, these tires form a three-millimeter deep tread profile with lateral drainage channels. Tests carried out at our AIBA (Automated Indoor Braking Analyzer) facility, the only one of its kind in the world, revealed braking distances very similar to those of conventional tires.” And as Eydea went on to confirm, the outcome of aquaplaning tests was “similarly unspectacular”. 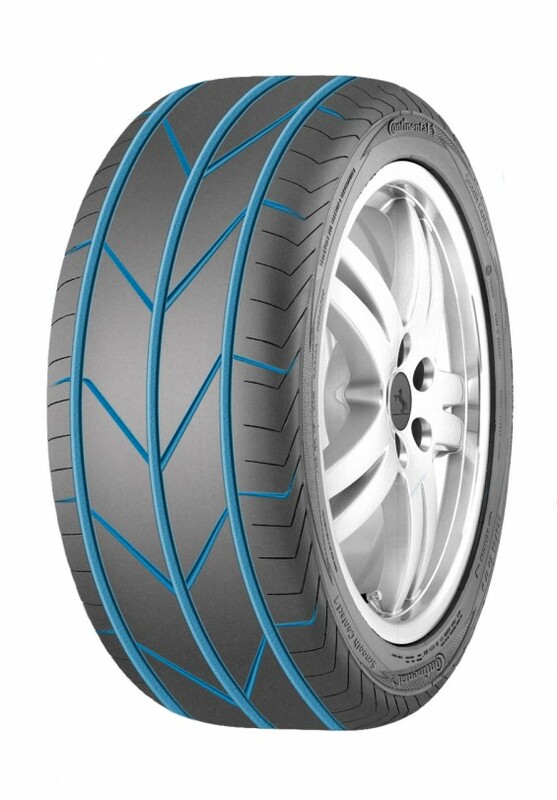 From today, the new SmoothContact 1 is available from tire dealers in 14 different sizes from 16 to 22 inches in diameter. This means there are sizes are available for everything from a tuned VW Golf to super sports cars from Porsche.